Pasighat - is the oldest town of Arunachal Pradesh established by the British in 1911. It is situated on the banks of the river Siang, eastern side of Arunachal Pradesh and is at a height of 152 m. from the sea level. 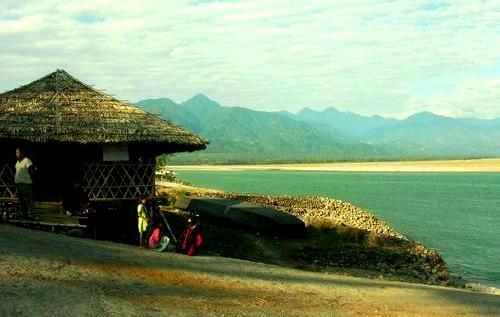 Pasighat has been often called the 'gateway of the state of Arunachal Pradesh'. Pasighat derives its name from the 'Pasis', an 'Adi' tribe of the area. With its breathtaking hillside and lush-green river valleys, Pasighat is a tourists delight. After it's establishment in 1911, the British government had appointed a political officer with a view to help the natives of the area to come down to the plains of Assam for trade and commerce. Pasighat was founded as a gateway to administrative convenience of the greater Abor Hills and area north. Pasighat is known for receiving highest rainfall in a single year. It is also ideal for adventure sports activities. The Daying Ering Wild Life Sanctuary in Arunachal Pradesh is located at a distance of 13 km from Pasighat and is one of the few sanctuaries located on an island. One has to cruise through river Siang by boat to reach this sanctuary.